Known for its 99.7% beauty essence ingredients, Skinvill Hot Cleansing Gel has garnered a cult status in Japan. 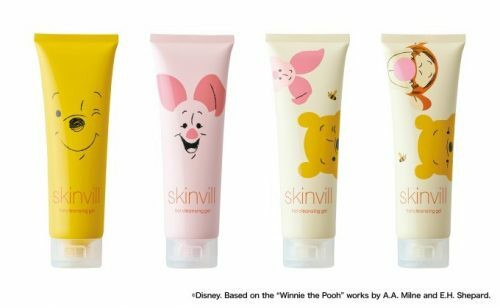 Skinvill has just released a limited edition version of this best-selling cleanser in a special Winnie The Pooh packaging. 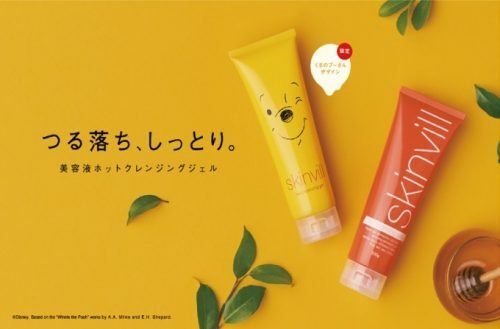 Instead of the usual bright orange, the Winnie The Pooh packaging comes in 4 variations – all featuring the cute characters from Winnie The Pooh, including Piglet and Tigger. You can get this from Rakuten at only 2,036 yen + 400 yen for local shipping within Japan. Remember to sign up with us to gain access to our Japan warehouse!